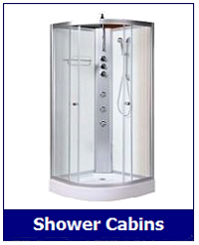 Your steam shower cabin installation... professional installing or DIY? 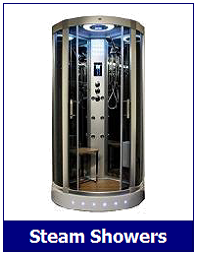 One of the most common questions we get asked by customers at Smart Price Warehouse is “Are the steam and shower cabins easy to install?” This is always a difficult one for us to answer, as what can be a simple task for one person, can be a difficult one for another. ​Only you can decide if you have the relevant skills and mind-set, to undertake such a project and hopefully this article will explain what is required, in order for you to make that decision. So if you are thinking of attempting an install yourself, rather than employing a steam shower installation company, then read on. ​Most of the work involved when installing a steam or shower unit, are not actually the plumbing aspect as many people would be led to believe. Fact is, the plumbing is probably less than 10% of the install process. With these self-contained shower cabins, all water connections (and waste) are by way of flexible hoses, not dissimilar to a washing machine. The hot and cold supply simply connects with 15mm compression screw fixing and the flexible waste connects up to your existing outlet. Detailed information on water requirements can be found in The Ultimate Guide to Buying a Steam Shower. ​The main work involved, is actually in assembling the shower unit, which is essentially a flat packed product and it is here where your personal skills need to be applied. One test, is if you can build a flat packed Ikea type wardrobe with ease, then you are just as qualified as a plumber, to carry out the shower assembly process. ​One other option you can consider is to construct the unit yourself and then just hire the services of a plumber to connect and commission the unit. 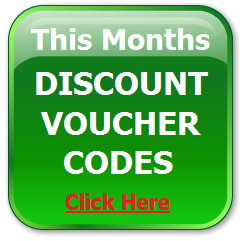 This will save you money with a large proportion of work being completed yourself. ​The other element of installation that you will need to employ a professional for, is the electrics. 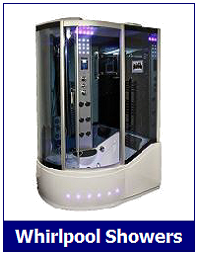 The majority of cabins feature lighting, maybe a steam generator or even whirlpool; this means you will require power to the unit. Check out The Ultimate Guide to Buying Guide for full electrical requirements. 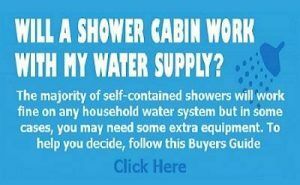 ​Below is slide show video to give you some insight into what is involved with installing a steam shower or shower cabin....just click the stop/pause button to read the text on each slide. In this slide show video we feature an Insignia GT5000 model which the manufactures rate as a Medium difficulty installation. With Insignia and also with Alto and Opus too, you do receive a more comprehensive guide than most other manufacturers and both these companies also have a Technical Helpline if required. Once the unit is fully unpacked and contents checked off the list, you should allow approximately 2-3 hours to assemble the unit. This does not allow for the plumbing, sealing, connecting to the power supply or fully water testing, after connecting to the mains water supply. 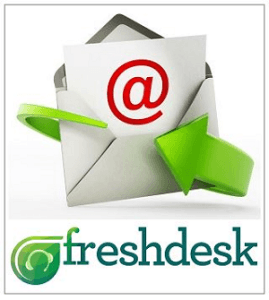 ​So now you have read the information above and watched the video, you should be a little more informed as to what is involved and therefore better equipped to answer the question “Can I Install one myself”. ​If it seems a little too overwhelming then perhaps hiring a professional steam shower installation company, bathroom fitter or plumber is the more positive option for you. Should chose the professional route, then here are a few pointers, to finding the right man or woman for the job. ​Contact your local plumbers or installers on yell.co.uk or alternatively, there are many specialists websites now, such as Checkatrade.com, Ratedpeople.com and Compare-Tradesmen.com, where you can search and review genuine feedback for trades people who operate in your area. 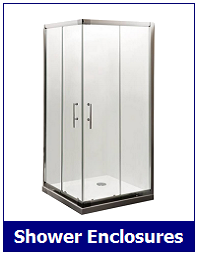 ​The first question you want to ask, is have they had any experience fitting self-contained shower or steam cabin products in the past? It’s certainly worth trying to hire someone with a degree of previous know how. Most creditable bathroom fitters, will now have come across or know about, this type product before. ​A word of warning, some of the “Old School” plumbers can have a negative viewpoint on these shower type products. Perhaps they have fitted a cheap Chinese made one in the past, or prefer to supply you themselves, with a traditional shower installation, where they can sell you a complete solution from tiling through to plumbing and increase their money and profit earned from your job. ​Although they may well have a valid point that cheap units - purchased from the likes of auction sites etc., should be avoided at all costs, it is also possible they have known them to have leaked or there be a lack of spares in the past. Quite often, some plumbers have also not kept themselves up to date of how advanced these type of units have developed since early 2000’s models, which was when we first starting seeing them with in the UK market place. (1) Plumbing: Getting the necessary hot and cold pipework, to a position behind where the shower unit is going fit - Cost is dependent upon how much work is involved and sundry plumbing material. ​(2) Electricity: Installing an electricity supply in behind where the shower unit is going to be fitted. Cost – this really depends on what is involved, with no two jobs the same so labour and materials such as cables, spur socket etc. ​(3) Building the unit and commissioning – Cost – This should be anything from £150-£300, depending on the model and your location in the UK, prices can vary dramatically just on location alone. ​With brands such as Alto or Opus and Insignia showers now offering 3 to 5 years parts warranty with their products, this should tell you that they have faith in their product lasting and not falling apart. 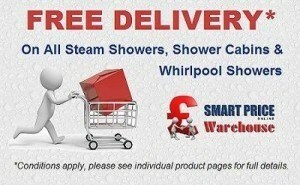 Is should also be noted that here at Smart Price Warehouse, we have our own dedicated steam shower parts website, so rest assured that if you do experience an issue outside the manufacturer’s warranty period, spare parts are still available. ​You may also want to review at our comprehensive Buyers Guide for even more valuable information designed to answer all you questions. 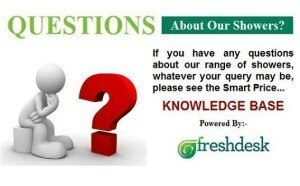 If you still have questions, you can also visit or Knowledge Base website, packed with lots of FAQ’s to assist you. 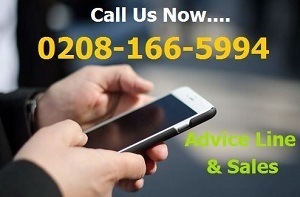 Finally, for any other unanswered questions, please call us on 0208 1665994 or open a Support Ticket in our Contact Us section.